The Summer Day Camp’s mission is to teach the students the love of learning through various academic and fencing activities. This weekly summer program is a great chance for students to combine academic enrichment activities with afternoons of fencing practice taught by our elite athletes and Olympians. 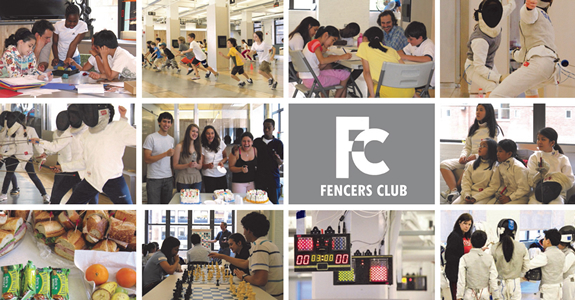 The Day Camp’s daily sessions are comprised of three parts: the morning program is designed to encourage beginner fencers and those who have never fenced before to learn the dynamic sport of fencing and afternoon fencing sessions build upon the earlier sessions which are ideal for beginner and intermediate fencer. All fencing sessions are taught by our scholar-athletes who are highly proficient in teaching fencing to students of varied abilities and experiences. Between the fencing sessions, students will engage in activities that promote academic risk-taking and the development of creative thought processes. Activities include creative writing, applied science and strategy games.